HBO and its agency GlobalHue were looking to generate additional buzz around the fifth season of the hit show, Game of Thrones. 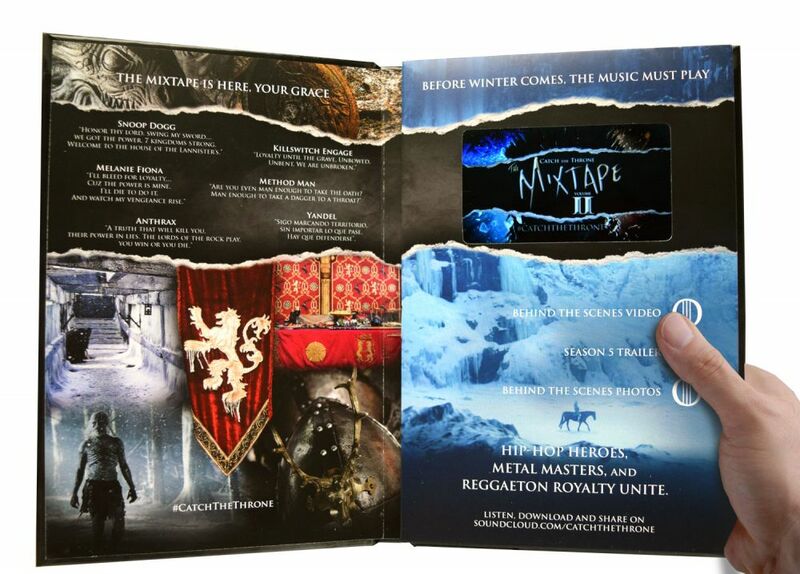 HBO wanted to introduce the new Game of Thrones soundtrack, "Catch the Throne", which included an all-star roster of "Hip Hop Heroes, Metal Masters, and Reggaeton Royalty". 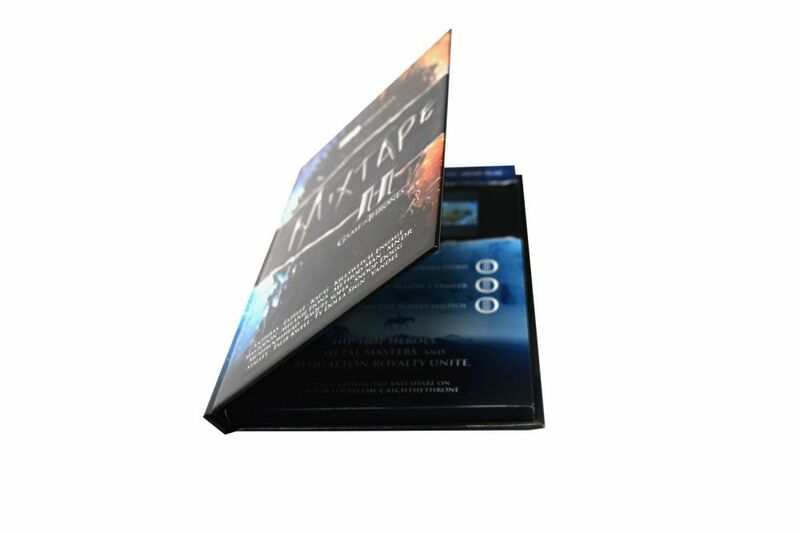 HBO and GlobalHue worked with the Americhip team to design, develop, and produce a hard bound Video Book utilizing Americhip's patented Video in Print™ technology. 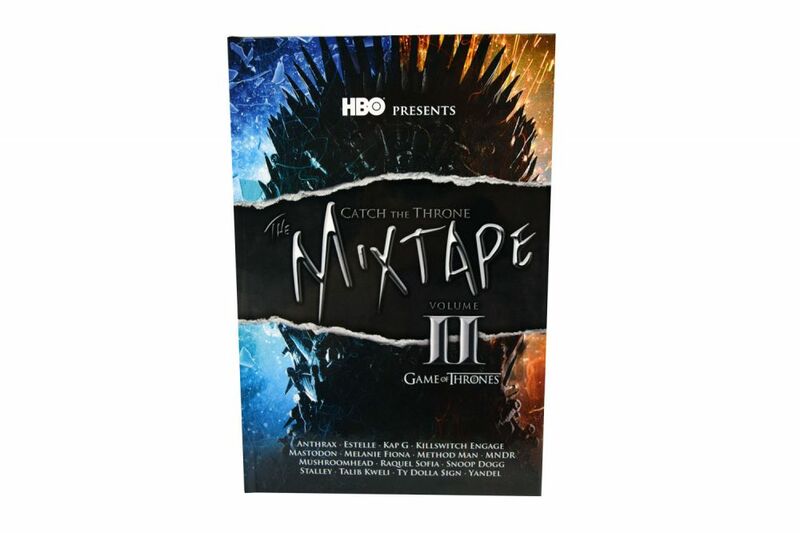 Not only did the video book showcase the new musical line-up from the Catch the Throne soundtrack, but it also gave a sneak peek of Game of Thrones Season 5. 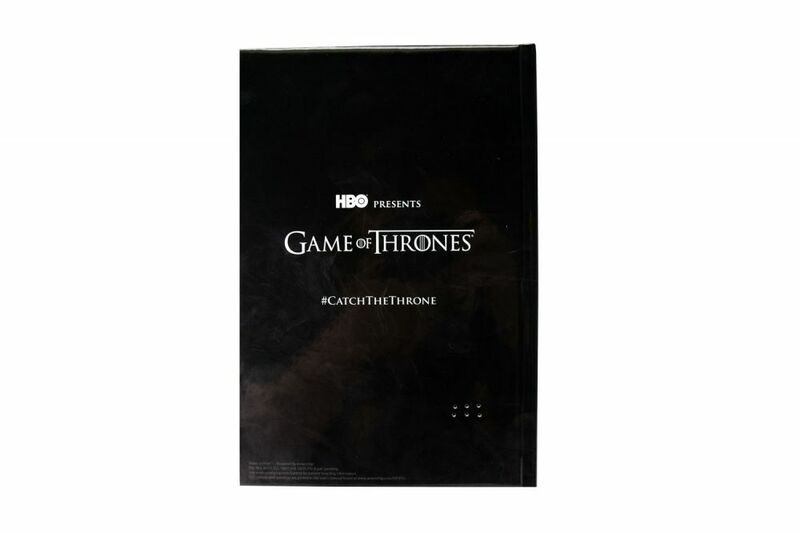 The video book had a 4.3" LCD Screen and three chapter buttons for behind the scenes video and photos as well as a season 5 trailer which was sure to pique the interest of HBO's target audience of media outlets and industry insiders. 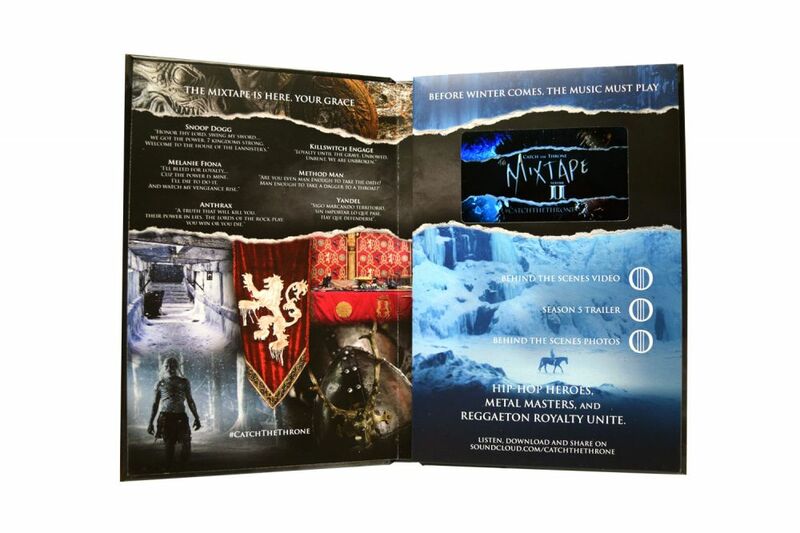 With Video in Print™, HBO now had a great vehicle to introduce the new Game of Thrones soundtrack while also generating additional buzz around their highly successful series. Let's work together to create something amazing. Americhip's mission is to deliver solutions that engage audiences on a more intimate level. We design, develop, & manufacture innovative communications tools to empower global brands and agencies.